Keep your biological clock in sync by going to bed at the same time each night and wake up at the same time each morning — even on weekends. Doing the same things each night just before bed cues your body to settle down for the night. The ideal bedroom temperature is 60 to 65 degrees Fahrenheit or 16 to 18 degrees Celsius. A room that’s too hot or too cold can disturb your sleep. Consuming stimulants, such as caffeine, in the evening interferes with falling asleep and prevents deep sleep. Try to deal with worries and distractions several hours before going to bed. Say "yes" to sleep even when you’re tempted to stay up late. You’ll thank yourself in the morning. Light is one of our body’s most powerful time cues. The rising sun can stimulate the brain into wakefulness long before the alarm goes off. A dark room is the most conducive for sleep, day or night. The bright lights of mobile phone and tablet screens can make it difficult for your mind to switch off. We advise avoiding all electronic screens prior to bedtime - why not try reading a good book, which will help your mind relax ready for sleep. 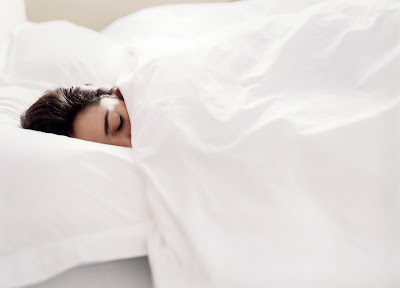 Do you have any tips for a better sleep? We'd love to hear them! Why not Tweet us your thoughts @SavoirBeds1905?